Brief Synopsis –Two lost souls find each other and each try to help the other find purpose in life. My Take on it – Before I started to watch this, I thought I was on my way to watching a dinosaur movie, perhaps even a horror movie. Boy was I surprised when this turned out to be a very thoughtful personal drama. The characters are fleshed out very well and the fact that the two main characters are not people one would usually meet up, it was all done in a plausible way. These characters lives are explored thoroughly and eventhough they seem to be complete opposites, their connection to one another is exactly what they both need at this time of their lives. This movie was written so well and it was clearly a pleasure to watch it all unfold slowly before my eyes. Must see this! When I saw the image on your homepage, I thought, “What?! A monster movie I’ve not heard of?” But the premise sounds more intriguing than a Godzilla-type movie. Thanks! Glad to help. Tnx for stopping by and commenting! Never even heard of this, but looks good. I concur heartily. This is an outstanding film, I reviewed it a while back. The story is utterly gut-wrenching and at times it’s hard to watch, but the performances are eminently engaging and you can’t help being swept along with them as events unfold. 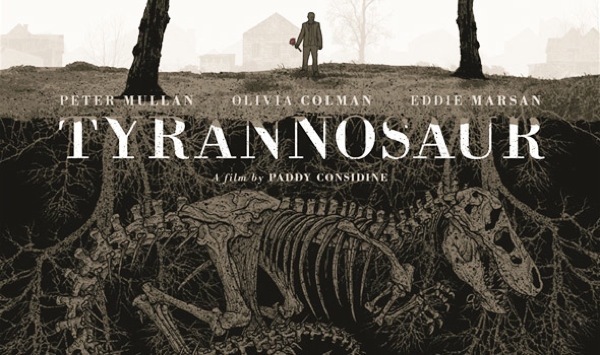 Olivia Colman and Peter Mullan completely blew me away, as did writer-director Paddy Considine’s script and direction. Never heard of this. Sounds really interesting 🙂 I’ll need to search this one up!